Forex News Eur Usd: Asian session started the day with the USD weakening generally against other major currencies. 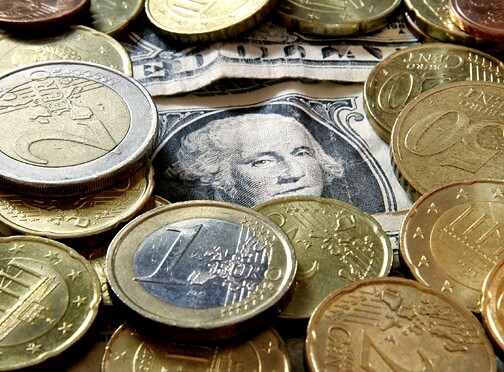 EUR/USD is trading at 1.4512, GBP/USD is trading at 1.6432, AUD/USD is trading at 1.1048 by the time of typing. Gold and JPY are still strong against USD. When we look at the Asian stock markets, we see slightly lower openings. Nikkei started the day at 10,048.34, previous close was 10,097.72. Hang Seng opened at 22,485.77, previous close was 22,572.08. An economist at JP Morgan Asset Management, Yoshito Sakakibara said “Expectations that Japanese corporate earnings will be strong are lending some support, but as long as there are concerns about the U.S. and European economies, investors do not want to invest in risk assets. Japan stocks may outperform other global markets, but volume may stay low”. Investors have been selling USD as the concerns increase over a deadlock in debates to raise the country’s debt limit. It is certain that the U.S. headlines likely to dominate all markets the rest of the week. Of course we should remind that the ongoing debates have not been about the debt ceiling only but about reducing the budget deficit and funding of the U.S. government. Even if the debt ceiling is lifted before the deadline to avoid a default, rating agencies could still downgrade the U.S. credit rating without a solid deficit reduction plan. Director at Janney Capital Markets, Guy LeBas said “We believe that Congress will act with an 11th hour deal to raise the debt ceiling. However, the risk of that deal failing increases with each passing day. I would say that the chance of a U.S. ratings downgrade is now more likely than not”. Forex News Eur Usd: Even though the fears of contagion from Greece eased after the new aid package proposed by European Union leaders, economists prefer to cautious for the long term results. Standard & Poor’s global head of sovereign ratings, David Beers said “The rating has a negative outlook, so we’re pretty certain it’s going to go lower because, of course, an actual debt restructuring is now on the table. We’ve also expressed the opinion before that we think that any near-term restructuring is probably not the end of the story. There may be another bigger restructuring down the road. It wouldn’t surprise us if a second restructuring had to be looked at over the next couple of years”. Australian Bureau of Statistics released its latest Core Price Index report today. AUD rallied after June inflation data came in higher than expected. Report said “CPI rose 0.9% in the June quarter 2011, compared with a rise of 1.6% in the March quarter 2011. CPI rose 3.6% through the year to the June quarter 2011, compared with a rise of 3.3% through the year to the March quarter 2011”. Now the financial markets are speculating the Reserve Bank of Australia will have to raise interest rates sooner than expected. My view is that: Even though the Eur is now rising on US Debt woes. The overall fundamentals for the Eur isn’t that good either. It is just that the US has more severe news in the current moment. So as an overall, both the Eur and the Usd are pairs not worth going long. Unless they are paired together like in this case: Eur UsdOther than that, it will still be wise to short both the Eur and Usd with technical analysis + Price action confirmation. At Asia Forex Mentor, we combine forex news trading eg. Forex News Eur Usd (fundamental) with price action setups (technical analysis). Check out our online forex trading AFM winning Price ActionForex Course where i teach you the exact FULL Forex Trading System & Strategies that i personally use to be consistently profitable.